First aid kits are mandatory in UK businesses and have saved many lives since their introduction. Hazard-specific equipment such as spill kits are now in place at many premises and are proving their worth as the drive to make workplaces safer and cleaner hits high gear. Lock Out / Tag Out procedures are one of the primary ways employers can protect their workforce from faulty equipment, but as with first aid and hazard containment, the system will only work if the physical resources to implement the method are readily available. Industrial Lock Out Kits from Work Safety Solutions provide all the hardware and consumables you will need to secure dangerous machinery in one handy bundle, supplied in a convenient and durable pouch or box. Each LOTO kit contains the basics to prevent damaged equipment being used until repairs can be effected. 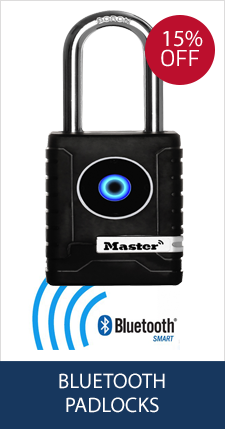 Usually, this means lock off devices for both mechanical and electrical systems. Managers should list the equipment which falls under their area of responsibility and select the most appropriate safety Lock Out kit. If you need any assistance when it comes to choosing the best kit for your workplace, get in touch and our friendly and knowledgeable team will be happy to help. Most powered equipment in the modern workplace is electrically controlled, but that doesn’t necessarily mean a machine can be considered safe just because the power is off. Mechanical and pneumatic systems can store energy, and these too should be secured with an appropriate lock out kit before the appliance is repaired. We carry a wide range of products from these leading LOTO kits suppliers. The advantage of using a standardised range of equipment is that ordering extra hardware and replacement consumables is as simple as filling in an online form. Keeping your Lock Out kit fully stocked and ready for action doesn’t have to be a headache. In fact, we want to make it as easy as possible for you to keep your workforce safe and fulfil your responsibilities under Health and Safety At Work regulations and other legislation. 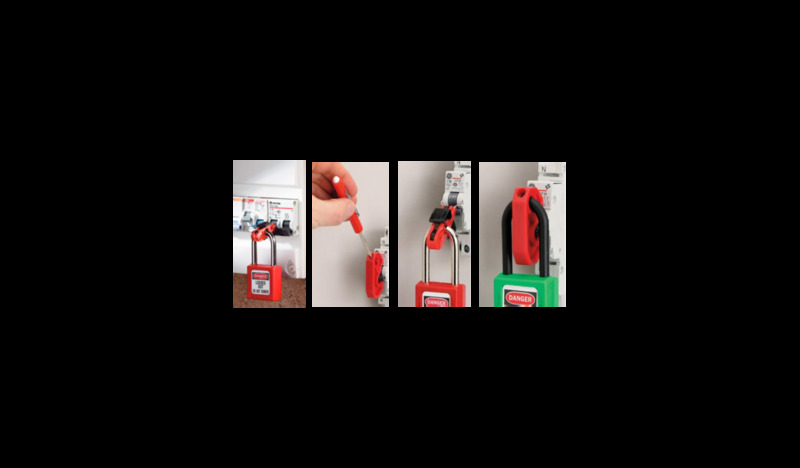 To this end, besides our extensive range of lock out kits and related hardware, we can also supply such sundries as asset tags, markers, safety signs and warning tape. Lock Out kits are not only useful when an appliance develops a fault. Any time routine maintenance is to be performed on an item – from a stepladder to a fully automated production line – following the LOTO procedure will allow the work to be carried out safely, without risk of the equipment being put to use before it has been tested and signed off. When an engineer has several pieces of equipment to get through in a day, the temptation may be to rush through the work without taking the due precautions. But it only takes one careless action for such a situation to end in disaster. 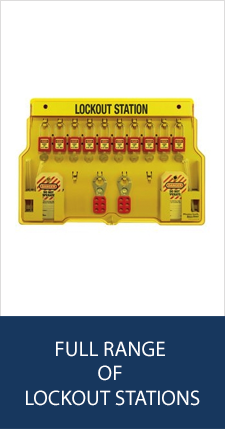 Maintenance Lockout Kits are specifically designed to isolate a machine while it is cleaned, serviced, and maintained.